Optimizing eCommerce revenue is a subject that’s been explored since the dawn of eCommerce. The process of developing your brand and refining your approach to eCommerce can require a lot of time and research. 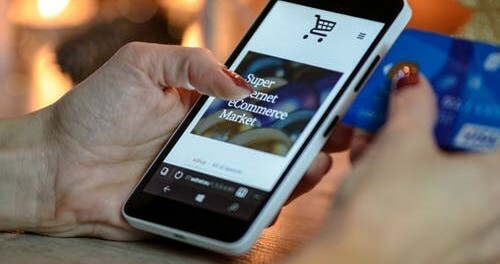 Here are a few tips from experts for people who want to maximize the output of their eCommerce site upon launch. This one’s pretty easy, and we don’t need to look far to find some pretty authoritative material on this subject. Targeting offers to specific customers based on their active history on your site is the sliced bread of eCommerce. With this tactic, you can expect to see a tangible improvement in your overall sales. More specifically, make sure that your checkout process is easy, make sure that the registration process isn’t difficult, and ensure that shipping costs aren’t kept secret until it’s time to pay. These are some of the most important things to keep in mind when designing your online shopping cart. Additionally, you can try to pair or group items together for a discount. This has been proven to increase the total amount of money that your consumers spend on your online store. Trust can be built through quite a few avenues. Ultimately, the goal is to construct and foster a general understanding in your customers that your products are going to real people who use them and appreciate them. If the things that you sell appear to be useless and unwanted, then they’re likely not going to be flying off the shelves. To contrast this, people will be much more willing to purchase your items if they can see the direct impact that your merchandise has had on other people. Some administrators choose to list the number of times the product has been sold next to the item itself. This presents your merchandise in a positive light because it showcases how your product has been useful to a larger group of people. This approach can be supplemented by displaying items nearby that other similar customers have purchased. For example, if you’re selling pillows, then your site might recommend pillowcases nearby. Integrating social media into your marketing plan can also help you reach your financial goals. Facebook, Instagram, and YouTube are the three biggest players in this area, and it would be wise to adopt a strategy that involves activity on all three of them. Instagram offers the best amount of engagement, and Facebook provides the most revenue. Youtube works best with generating revenue from the advertisements themselves, and it may not be as well suited towards marketing like the other two players. Finally, product reviews are invaluable when trying to launch a successful eCommerce website. As a customer, product reviews are very reassuring because they are able to offer real examples of use cases and experiences that other people have had with your products. You can incentivize your customers to write positive product reviews by selling high-quality products, but you can also include handwritten notes of appreciation within your packaging and offer random cash prizes for customers that write reviews of your product. This builds a human connection between you and your customers, and it creates a sense of trust and mutual appreciation that can go a long way towards building your online eCommerce business. Multi Fees are another great way to increase your overall revenue for your online eCommerce site. This method builds upon the practice of bundling similar items together and recommending similar items to similar customers. With certain store management tools, such as Magento services, you can tailor these bundles and fees to fit your own specific marketing strategies. This approach can also maximize your profits by accounting for operational expenses at checkout. These tools give you the unique opportunity to set custom fees and prices based on customer data. Tools like this have been part of the market for a very long time and are considered to be an industry standard. Multi Fees can also increase the effectiveness of your Magento services by allowing you to set custom shipping fees and dialogues based on the customer’s state, geographic location, and shipping method. 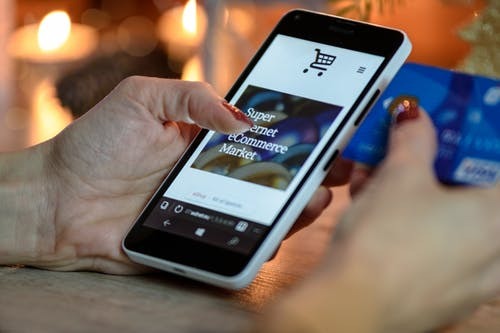 Identifying the specific marketing methods that will take your eCommerce website to the next level can be a challenge, but the items mentioned here will hopefully be helpful for your next business move.